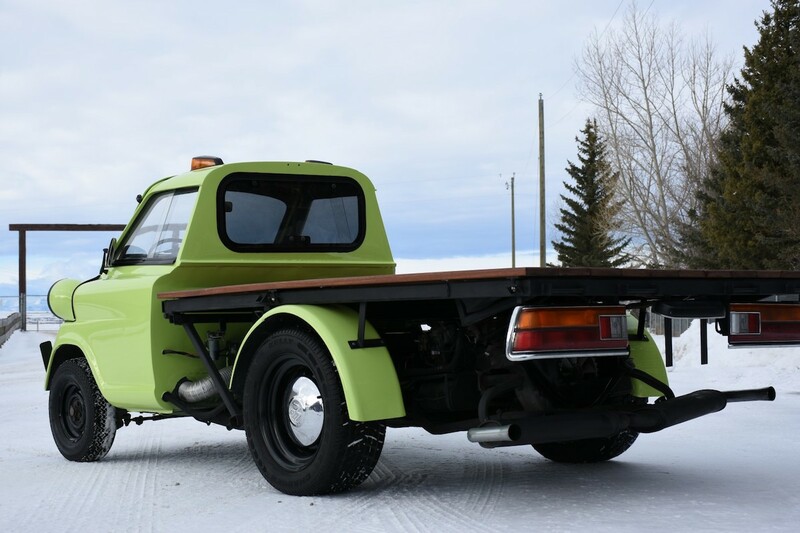 We're all about strange-but-cool pickup transformations here, but this 1957 BMW 600 on Bring a Trailer that's been turned into a pickup truck may have gone too far. There doesn't seem to be any sense of reason why the build exists, but we're trying hard not to bid on it because—it's awesome. 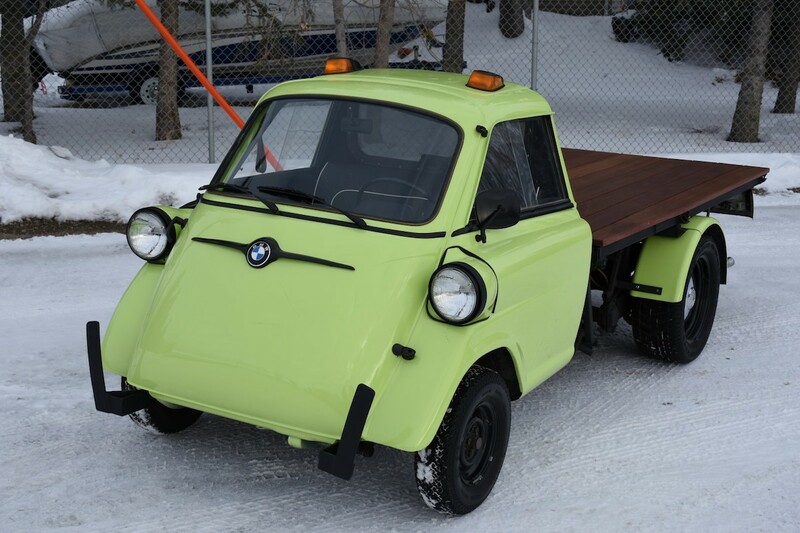 While the advertisement states that the donor is a BMW Isetta, the exterior design indicates that this is actually a BMW 600. 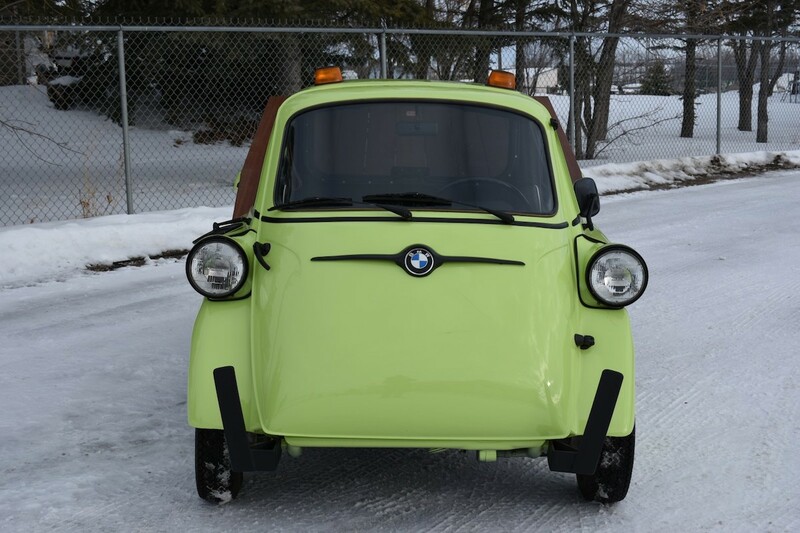 That doesn't matter much though, as the four-seater 600 is based on the iconic Isetta and still features the front-opening door that defines these bubble cars. 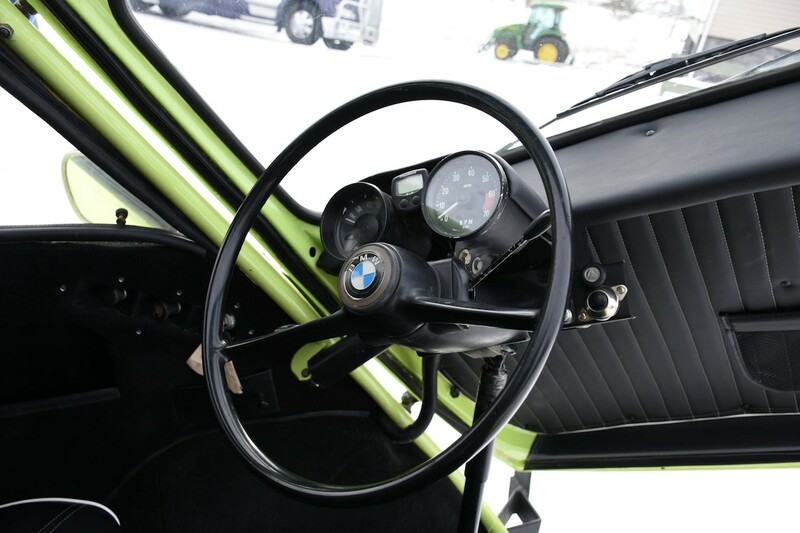 The previous owner was a master technician at BMW's plant in Munich, who moved to Canada and opened a mechanic shop that specialized in converting BMW Isettas to pickup trucks. Thus this microcar features a custom "Brazilian Balau" hardwood bed in the back that tips to allow for easy unloading and engine maintenance. The fact that this conversion was executed by a trained professional and isn't a shoddy Craigslist build is definitely a plus. The 600 pickup sports a non-metallic paint job that was inspired by similar 1950's paint schemes. The owner also painted the headlight surrounds, exterior trim pieces and custom bumper extensions black. 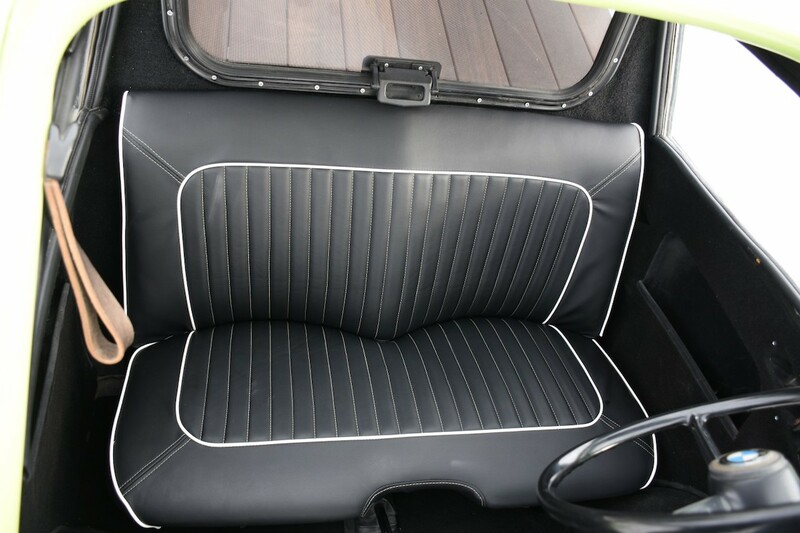 The interior was completely refinished, now featuring black vinyl seats, new headliner, and better carpeting. All of the gauges except for the odometer work, so, unfortunately, mileage isn't known. A 1.6-liter flat-four from a Volkswagen Type 3 provides power, which more than doubles the 600's measly 19.5-horsepower output. 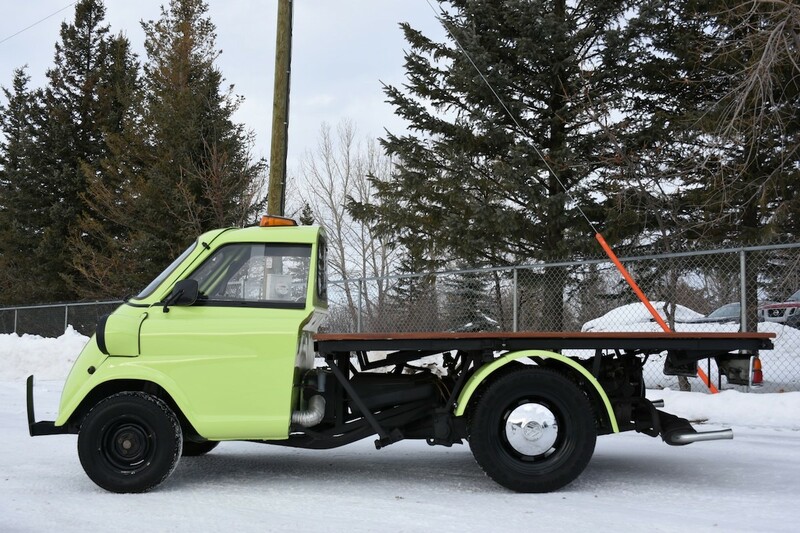 Other Volkswagen parts were added throughout the truck, including VW wheels and a VW four-speed transaxle manual transmission. The owner says it will comfortably do 55 mph, although that sounds terrifying in something like this. While this BMW doesn't have the power or size to be a proper hauler, it's definitely one of the only pickups that will turn every head at a car meet.